First place in Le Tour Guide and Ranatra Fusca award winners–Celia Harmelink, Blake McWatters, Tiff Behrendt, Isaac Younker, Carly Behrendt, Sydney Murphy and Ethan Babcock. and five primary teams—grades kindergarten through second, non-competitive. Advancing to state finals on April 16 at Davenport University are the following. In Division I are the following teams that took first place: Cannonsburg Elementary School Team A, Belmont Elementary School and North Rockford Middle School Team B. Advancing after a second-place win is Roguewood Elementary School Team B. 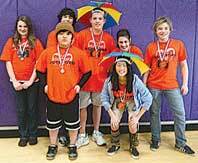 Advancing after a third-place win are Roguewood Elementary School Team A and Cannonsburg Elementary School Team B. Advancing after a fourth-place win is Valley View Elementary School Team A. 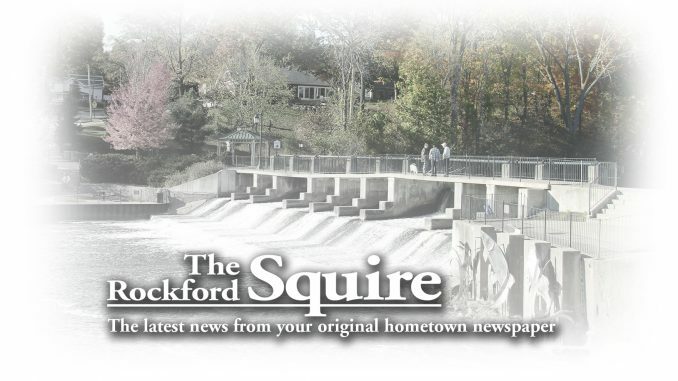 In Division II, North Rockford Middle School Team A took first, East Rockford Middle School Team B took second and North Rockford Middle School Team C took third. 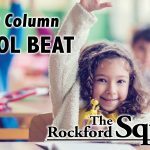 In Division III, Rockford High School took first place. Teams that placed—honorable mention—but will not advance are Crestwood Elementary School, East Rockford Middle School Team A, North Rockford Middle School Team B, Roguewood Elementary School Team B, Crestwood Elementary School and East Rockford Middle School. 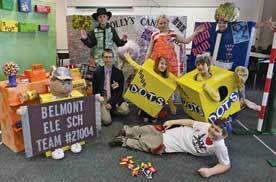 Belmont Elementary team Back row (l–r) Joseph Besta, Molly Younker and Hailey Delacher, middle row (l–r) Nicholas Besta, Caleigh Dunn and Alex Anthony and Kevin Klein in front. solving under pressure. 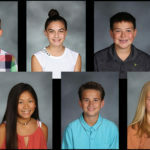 North Rockford Middle School Team A received the Coveted Ranatra Fusca award for outstanding creativity, and Roguewood Elementary School Team A received the Ranatra Fusca award for outstanding creativity in their performance. 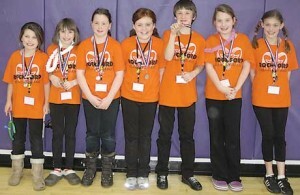 Cannonsburg Elementary team (l–r) are Carli Kelley, Claire Danko, Maddy Kerbyson, Catie Larsen, Raymond Wyman, Payton Milo and Meagan Witte. State finals will see 11 of these teams advancing to Davenport University on April 16.